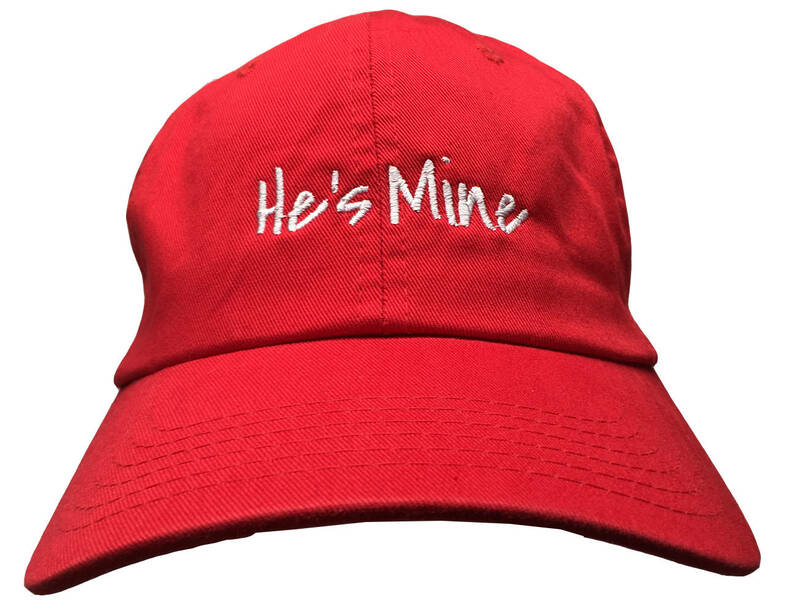 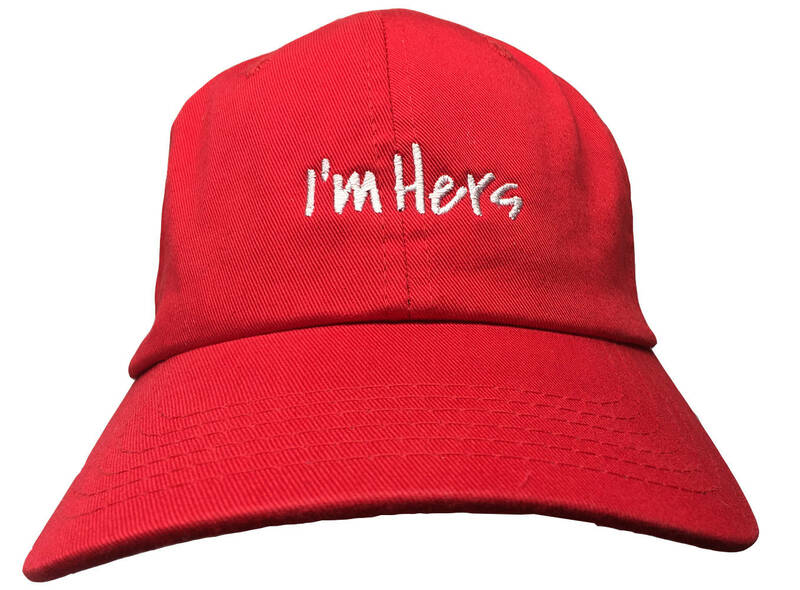 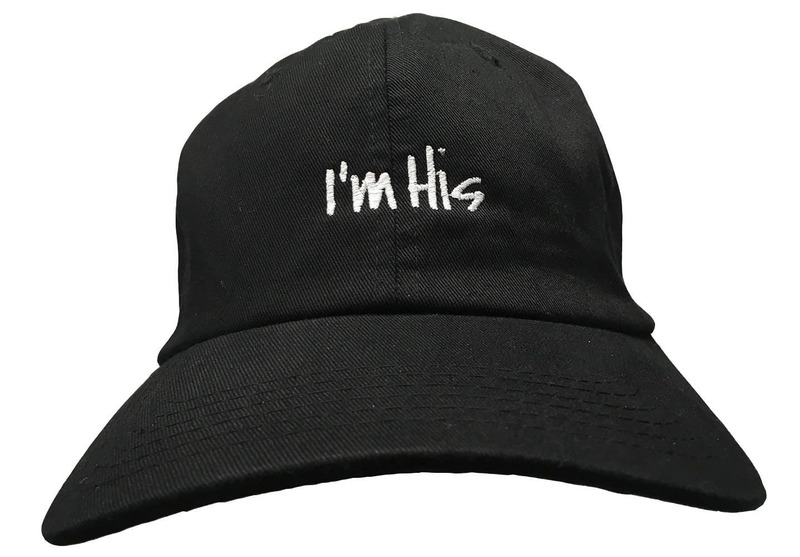 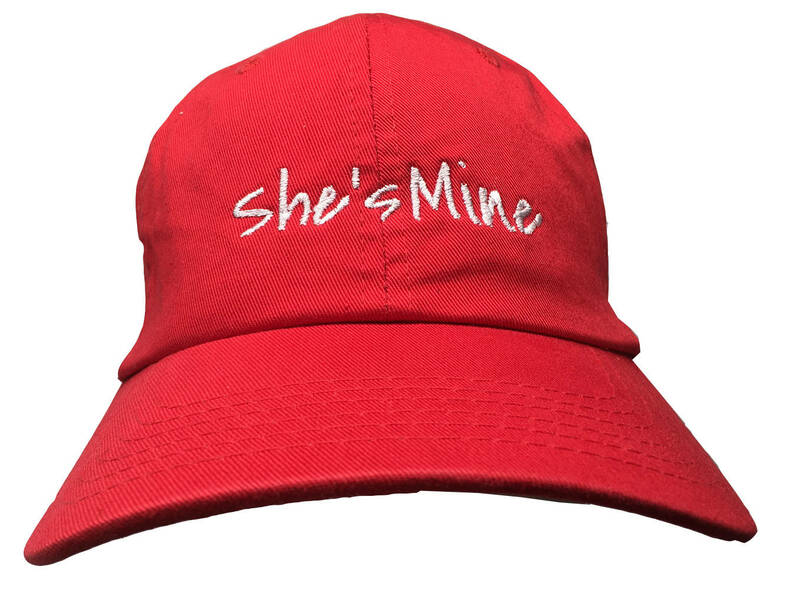 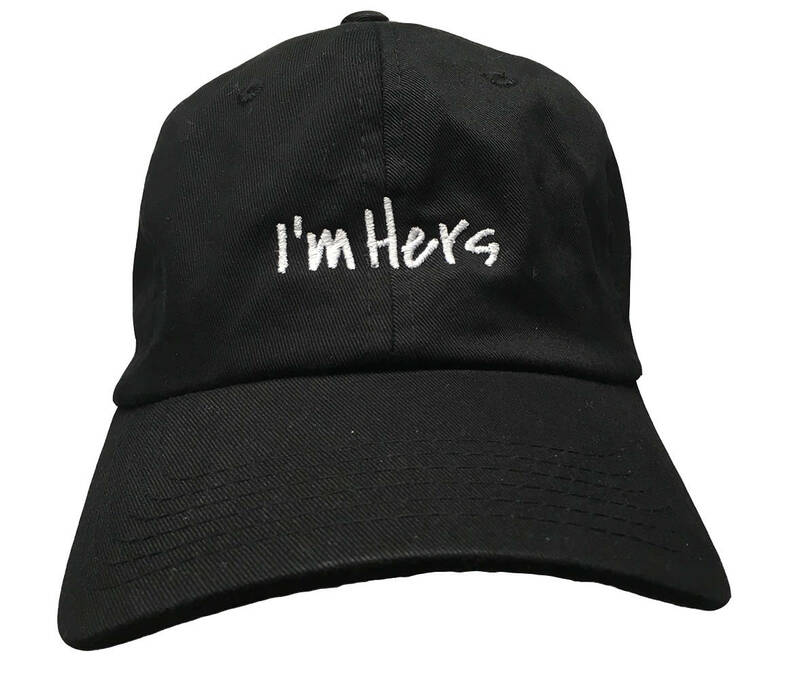 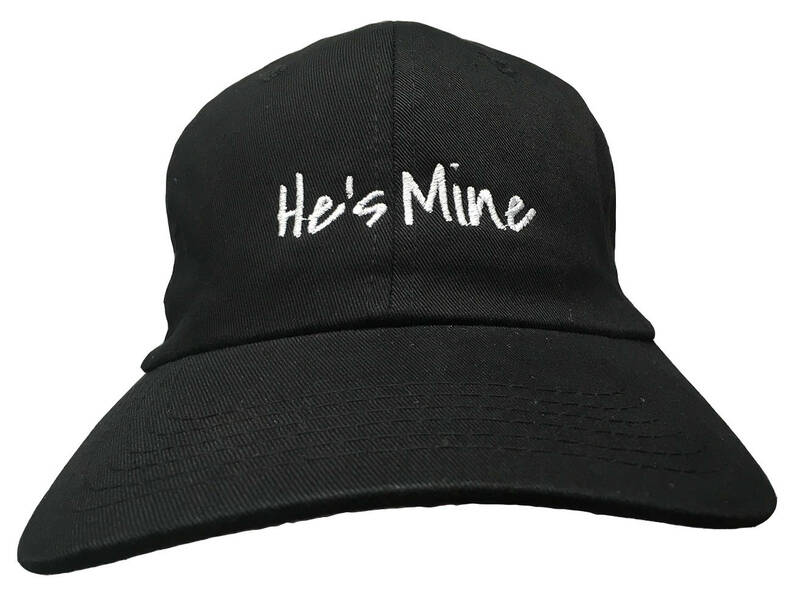 I'm His I'm Hers She's Mine He's Mine - Embroidered Dad Style Ball Caps with all different variations. There are a bunch of variations listed including some with discounts for two caps (pair of caps) Let me know if you want a different variation and I will make it happen. 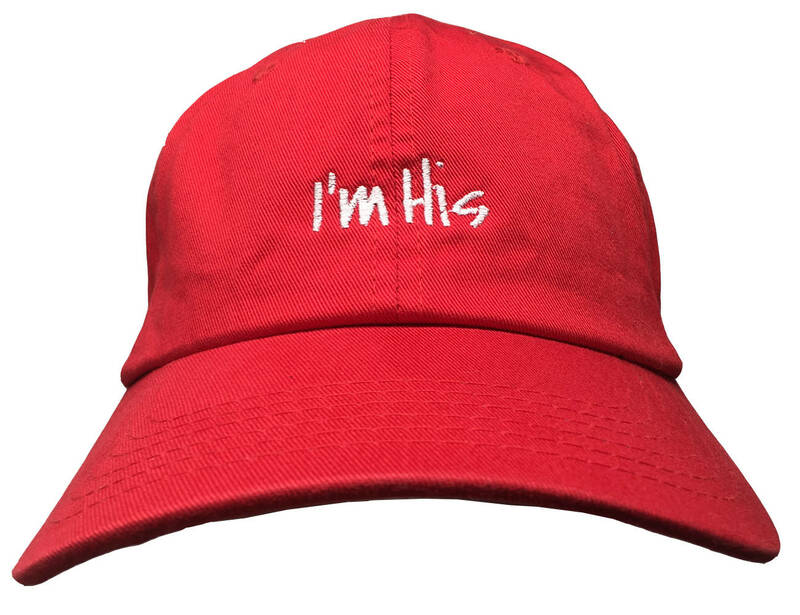 This is a set of caps. 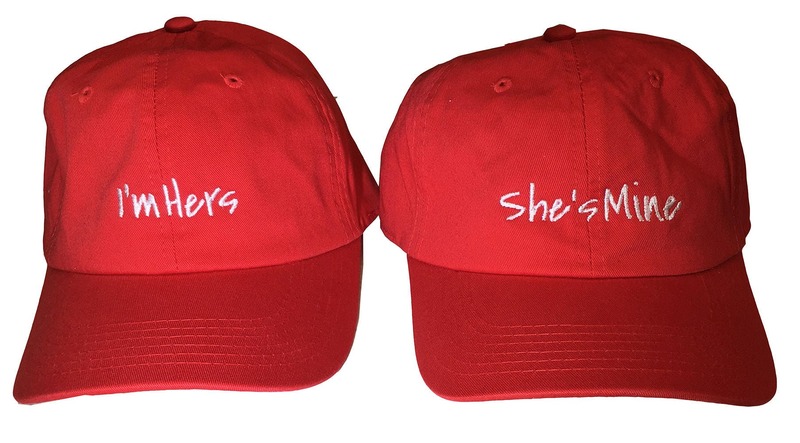 Two Black Ball Cap with White and Red Stitching with "Mr." and another with "Mrs.".